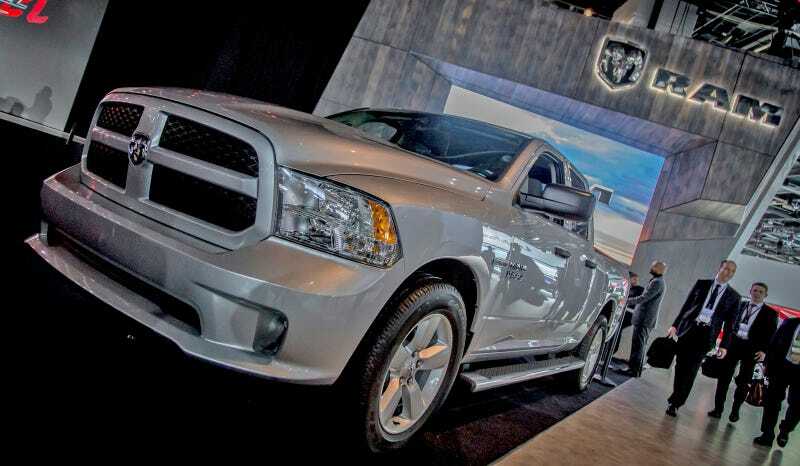 The Ram 1500 EcoDiesel was already the most efficient half-ton pickup truck with a 28 MPG highway rating. For 2015, they've managed to squeeze out a best-in-class 29 MPG in the most hilarious way possible. By comparison, the most efficient F-150 only gets 26 MPG highway, although the 2.7-liter EcoBoost F-150 is a cheaper truck. With gas prices much lower than the diesel prices right now, it'll take a lot of driving to make up the difference if money is your only reason for buying a truck. offer owners a double-bonus: greater functionality and best-in-class aerodynamics contributing to better fuel efficiency. While the more aerodynamic front is interesting and looks attractive, Ram's Mike Cairns says trick here is that they put a tri-fold tonneau cover and new side steps to tweak the airflow and get one more MPG on the highway. They even had the EPA retest it.